Lawmakers want to honor the memory of President George H.W. Bush and his wife Barbara by putting their faces on a coin. Senator Susan Collins of Maine introduced a bill authorizing the U.S. Treasury to mint one dollar coins featuring the former president and first lady. Dems may require #39 be included when he passes within the next decade. If ANYONE should be on currency it’s Reagan!! Waste of time. How about Cornyn get back to his National Reciprocity legislation or is that only to be dragged out on election year to raise money? Will it be made by the Franklin Mint? This cannot be real. A bad one term globalist president over Reagan? Only fair. Like the Nobel debacle being honored before doing anything, #44 already has one he is identified with. Aren’t we slowly doing away with coins? Nope. But Reagan on the $20 would be a good move. Um.... why not lets keep it real and put Herbert and Bars faces on the same side and a Suicide Jack (Kennedy) on the other????? Hey Ted!!! Is this the best you can do after almost losing to Beano? I blame Bush 41 for David Souder and Bill Clinton due to his passive do nothing country club attitude. Put Reagan on! They gonna make wooden nickels again? Commemorating our fundamental transformation into North Mexico as envisioned by George HW Bush? What kind of BS legislation is that?????? More pressing issue to deal with!!!! 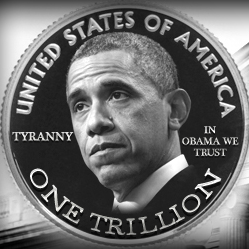 With the exception of George Washington, I am against putting any president on any coin or bill (sorry, Abe). Presidents are not supposed to be treated like kings. Yet we do that time and time again. How about bringing back Lady Liberty?